Minister for Justice Charlie Flanagan has apologised to garda whistleblower Sergeant Maurice McCabe in the Dáil and said he intends to meet him soon. He was responding to Solidarity-PBP TD Bríd Smith during Parliamentary Questions this morning. Mr Flanagan said Sgt McCabe deserved the gratitude of everyone and he deserves an apology for what he and his family have had to endure over the last decade. He said he spoke to Sgt McCabe after the Charleton Report was published and he has apologised on behalf of the State, and he added that he was arranging to meet him in the near future. He said he understood that Garda Commissioner Drew Harris has also been in touch with Sgt McCabe and he welcomed that. Mr Flanagan said the report was in many respects a damning one, that goes to the heart of how An Garda Síochána handles allegations of wrongdoing within the organisation. He added that it was a lengthy report and he and his officials are currently examining it to consider what actions are required in light of its conclusions. Mr Flanagan said that Sgt McCabe was "extremely gracious" and accepted the apology in the spirit in which it was offered. He also told TDs to reflect on their treatment of former Garda Commissioner Nóirín O'Sullivan, telling them that she was the subject of a "concerted campaign to undermine her position". 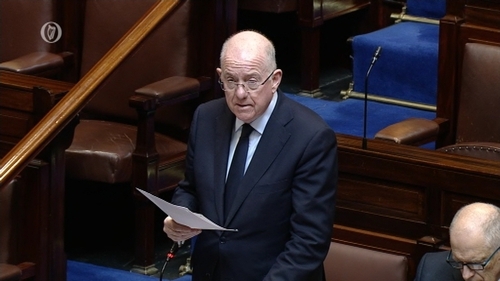 He said that during her tenure as Commissioner, Ms O'Sullivan was frequently before Oireachtas Committees and "subjected to questions that sometimes crossed the line that divides robust inquiry from personalised attack". "I would ask Members who were party to that process to reflect carefully on their behaviour at that time," he said. There are 949 councillors in Ireland so what do they do?